We resist even though numerous studies have shown the mental and physical health benefits of singing. We understand intellectually that singing creates stronger relationships between groups as well as releasing endorphins in the individual. But I sound terrible! Perhaps the best way to address performance anxiety is to give it a try with the most forgiving of audiences, your children, at least when they’re young. Forgive your tweens and teens if they tire of it; you probably won’t be able to do anything right for them! But the memories you create may help to foster a family tradition when they mature. Once you’ve committed to singing, here are some ideas of when you can weave it into your life. Getting kids to do chores is always a challenge, though studies show sparing children these necessary tasks spoils them and makes them less likely to be productive adults. So, as the song goes, whistle while you work. 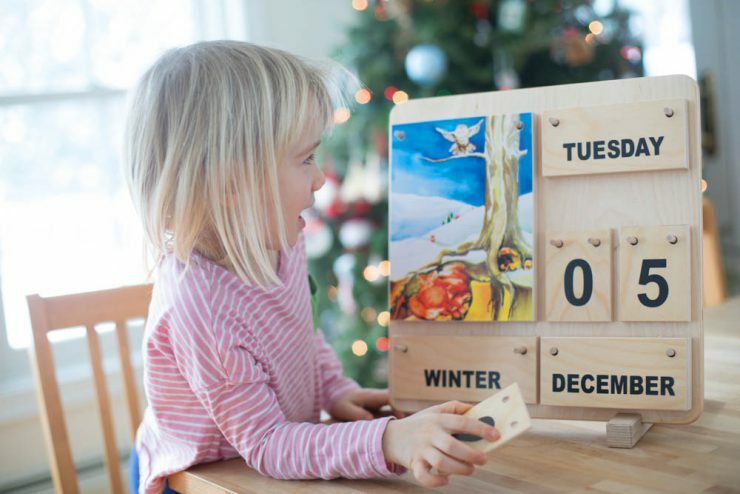 Add songs to your day with small children and bring lightness to mundane tasks and joy to a routine. 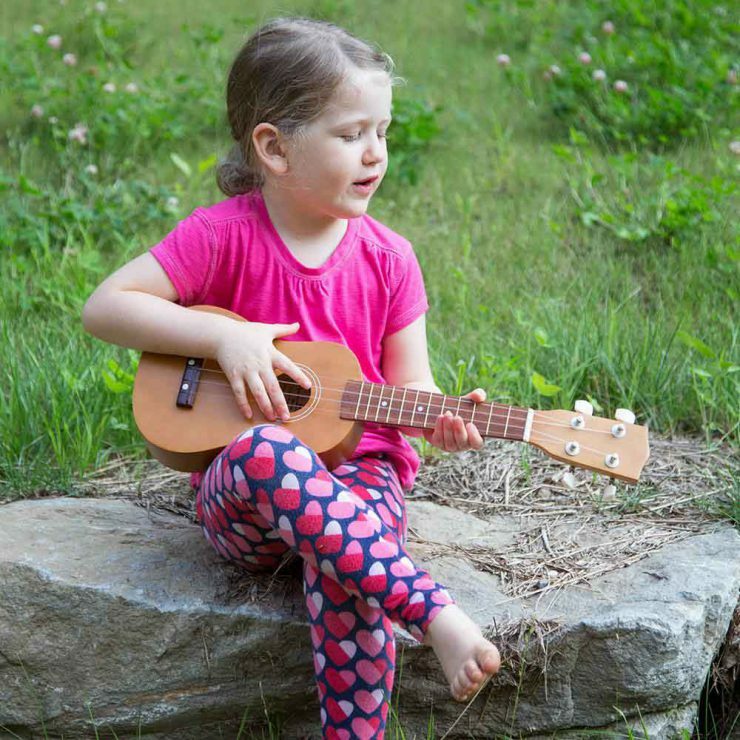 Popular children’s music from Raffi to Pete Seeger to Woody Guthrie can be a great source of songs to add to your repertoire. You can use songs to highlight the rhythms of your day, leading your children to the next moment without slipping into repetition or nagging. Music helps them mark the moments of the day, giving them clues to transition points, bringing them more gently to awareness of change. A particular tune can mean that it’s time to put on shoes, come to the table, brush teeth, or tidy a room. Mother Goose rhymes are another excellent source for verses if you want to try sharing some rhymes and you’re not ready to burst into song. Our own children loved the Waldorf song that wishes each cycle of the year a fond goodbye. The tune was the same with the words changing to fit the departing season. Even toddlers will quickly recognize the melody and note that the lyrics have changed from when you were singing just a couple of months before. Such songs help to acknowledge that as one passes, another takes its place, a cycle just like the hours of their days or the events of their weeks. They, of course, experience these changes, but drawing their attention and marking these changes bring to a conscious level what maybe would pass unheeded. Songs or poems also can reinforce the passing of the seasons without so much talking about it. A nursery rhyme about the robin in the yard will catch their ear, perhaps teaching them the name of that particular bird, associating the bird with a particular season, and voila! they’ve had a “lesson” in natural sciences that they can process at their own level each time you repeat the poem. The books Spring, Summer, Autumn, and Winter are each filled with stories, poems, and songs to mark the time of the year. Christmas carols, while perhaps overplayed in the retail world, are a lovely addition to a holiday tradition. Finding songs that suit your family’s beliefs and values is part of what brings real meaning to the music you share with your children. If you celebrate instead the solstice, a song celebrating the sun can have extra meaning when we remember the blessing of its fullest light and all the life that depends on it. Remember that you can sing! Younger children love no voice more than the ones of their parents. They will not critique your ability to carry a tune or to hit the high notes. Instead, they will feel the joy that comes from a household full of song.